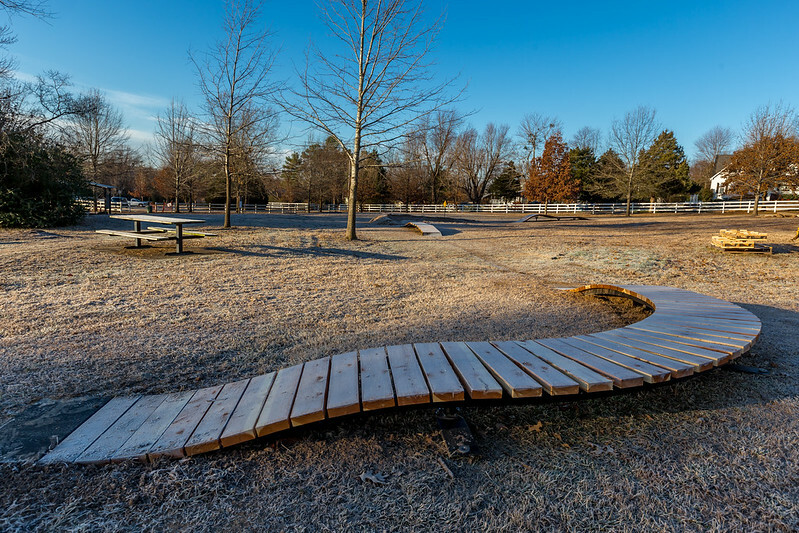 Residents are invited to help celebrate the recent opening of the new Lake Fayetteville bike park. 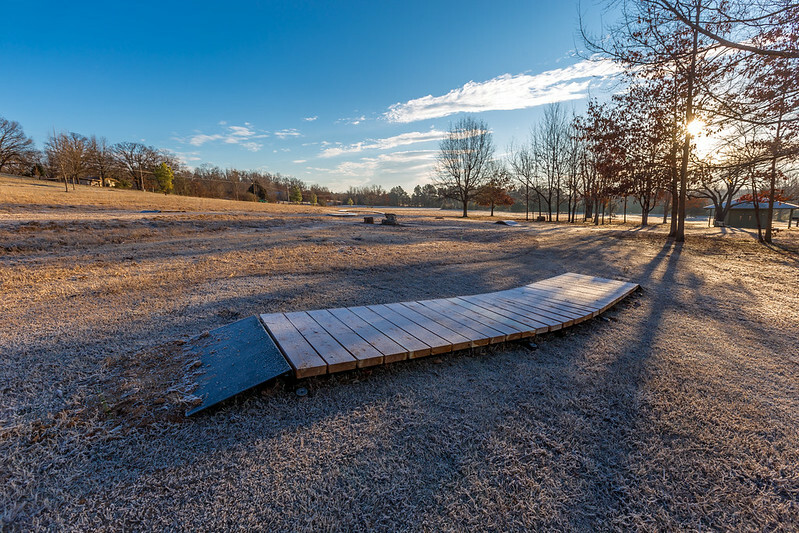 A grand opening and ribbon cutting ceremony is scheduled for 5:30 p.m. Thursday, April 28 at North Shore Park on the north end of the lake at 1208 E. Lake Fayetteville Road. 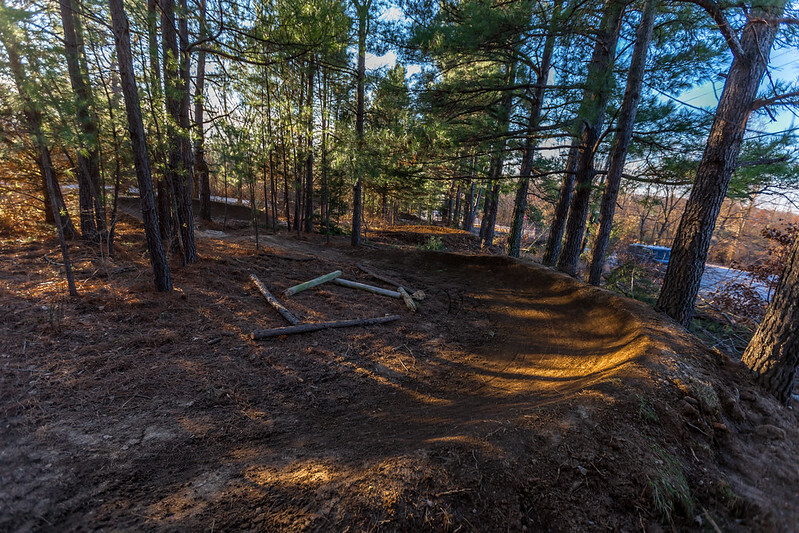 The park includes two skills courses – one track for beginners and a second course for intermediate riders. 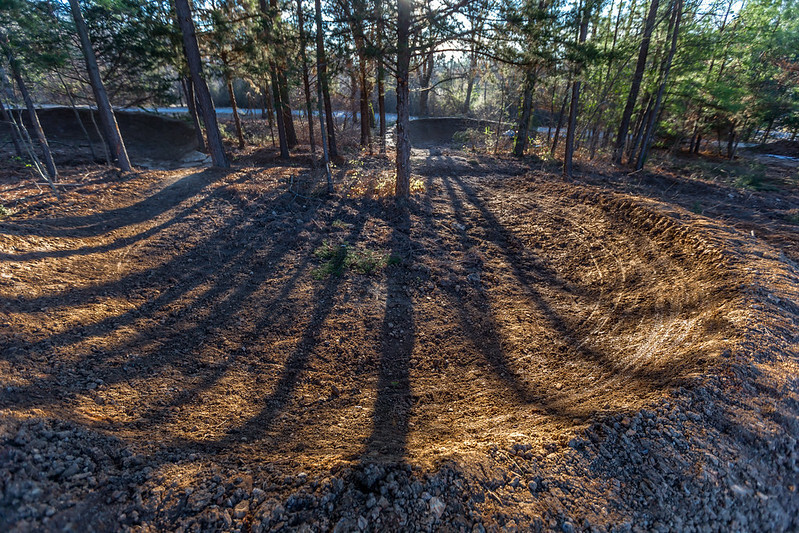 The courses include low-lying, wooden bike ramps designed to teach slow-riding technical and balance skills. The ramps on the beginner’s course sit 6-12 inches off the ground, and can accomodate young children who are just learning how to ride balance bikes. 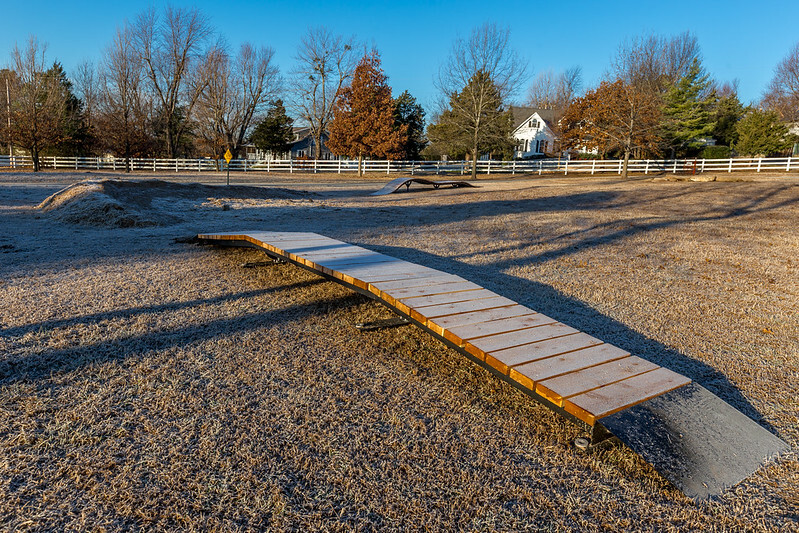 The intermediate course includes larger features for more experienced riders with log and stone obstacles, and ramps as tall as 3.5 feet. 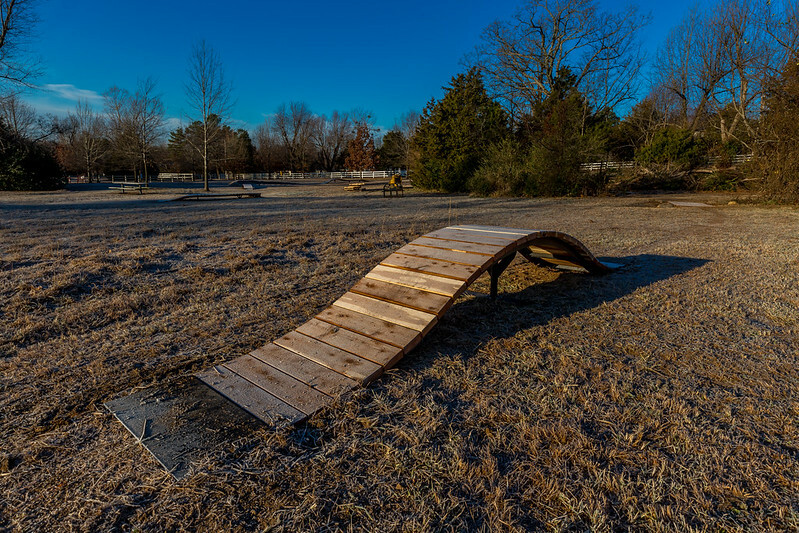 The project was funded through a grant from the Walton Family Foundation, and is a collaboration between the city and volunteers with the Ozark Off-Road Cyclists group. 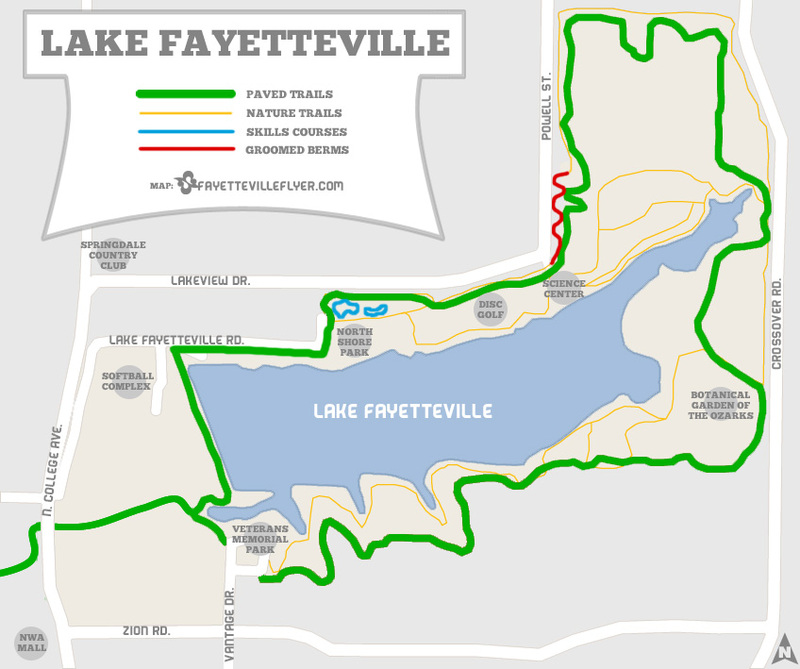 The non-profit mountain biking organization has for years built and maintained a series of soft-surface trails that circumnavigate most of Lake Fayetteville. 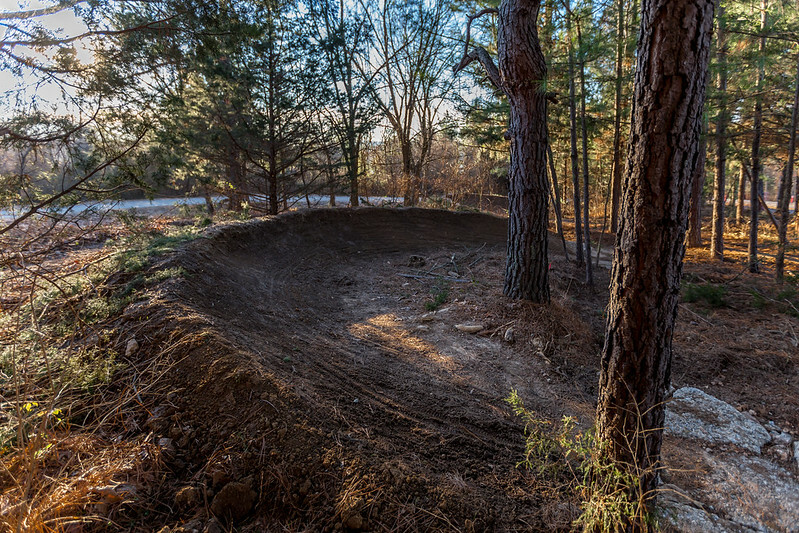 The project also includes rehabilitation work on a soft-surface trail just east of the skills courses where a series of bermed turns were groomed in the pine grove immediately north of the Environmental Science Center parking lot. For more information about the project, call the city’s Parks and Recreation Department at 479-444-3471.